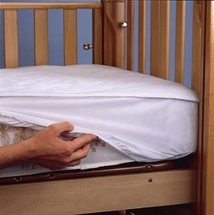 Your newborn baby will be spending a lot of time in his/her crib, so compromising on the comfort and quality of your baby’s crib bedding just simply isn’t an option! 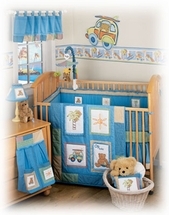 Give your infant the very best with our wide selection of fun, warm and comforting crib bedding options! 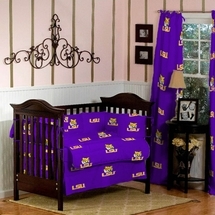 Tremendous Crib Bedding Selection for all Babies! Give your baby his/her own unique style! 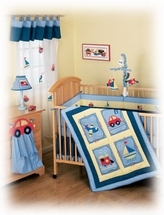 Our extensive inventory of infant crib bedding sets offers an array of top quality choices for both boys and girls such as the very popular high-fashion Nautica Kids crib bedding, the charming Angel Baby nursery bedding set, the colorful Baby Butterfly crib bedding set and the very macho Football crib bedding set. 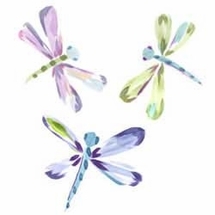 Our Huntington Beach line of crib bedding and crib sheets evokes the fun and play of a day at the beach while our Doodle Bugs infant bedding line features cute colors and whimsical characters making bedtime fun and soothing for baby. Regardless of which crib bedding option you select for your little bundle of joy, you can count on Laurens Linens to offer only the safest and most comfortable baby bedding sets available today, and at unbeatable online values that are ideal for new and growing families! Browse through our incredible current selection of baby crib bedding sets below, and find just the bedding your new baby needs for smiles, giggles, and peaceful dreams! 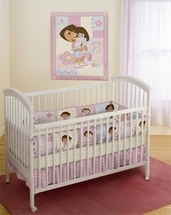 Order crib bedding now right here from our secure online store. 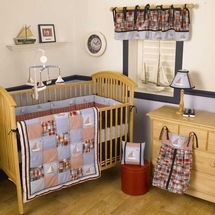 For more information on these or other infant/crib bedding options, or to place an order by phone, simply give us a call now at 877-233-2284.